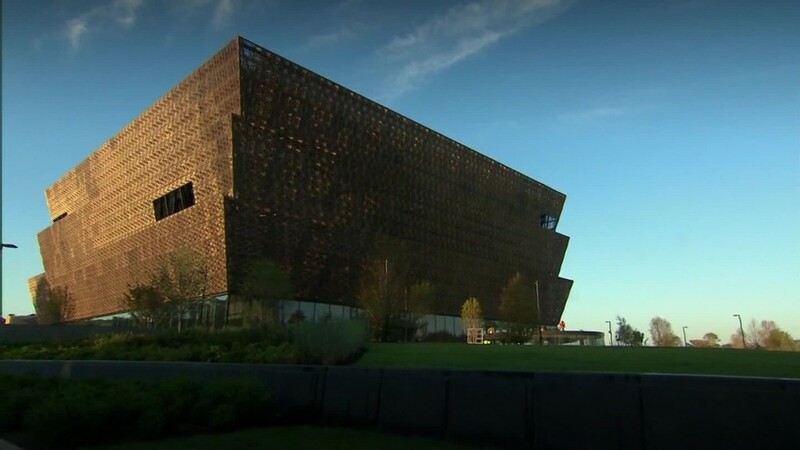 Tickets to the new National Museum of African-American History and Culture in Washington D.C. are "sold out" through March 2017. You need a ticket with a date to enter the museum, even though you don't have to pay for it. The museum opened September 24 with a lot of fanfare. President Obama delivered a speech at the opening ceremony, which was attended by former Presidents George W. Bush and Bill Clinton, and there were musical performances by Stevie Wonder and Patti LaBelle, among others. The museum came after years of planning and delays. And everyone expected a lot of love and interest. But no one foresaw this level of frenzy. "Did any of us think we were going to be the next Beyonce or Bruce Springsteen? No," says Beverly Morgan-Welch, the museum's associate director for external affairs. The museum did conduct a study prior to the opening, and accordingly expected 7,500 visitors daily. Instead, 30,000 people have tried to get in some days. (The museum can admit about 8,000). "Their desire to come is overwhelming our ability to get them in the building," Morgan-Welch told CNNMoney. "There just isn't enough space." The hysteria is being compared to the Broadway smash-hit "Hamilton," which was similarly sold out for months. So what do you do if you REALLY want to go? You have two options: Go to the museum website to try for a 2017 pass. Or line up outside the museum to try for a "day of" pass. All the online passes are gone through the end of March. The museum hopes to release next month the next batch of passes, which run from April through June 2017. In the meantime, fans of the museum are treating this like a new Apple (AAPL) iPhone sale. They start camping out in the wee hours to get a pass for the same day and enter the building when the doors open at 10 am. People are also spending more time than usual at the museum, which has five floors, 12 exhibitions and 3,000 objects on display. In a typical museum, visitors spend about two hours browsing around. But people are staying close to six hours at this museum, Morgan-Welch says. Stars of the political and entertainment world, including the Obamas, the Bushes and Oprah, have donated their time and treasure to the museum. At the grand opening, First Lady Michelle Obama and former President George W. Bush famously "hugged it out" on stage. Congressman Xavier Becerra of California is on the museum's advisory council. He says he is constantly "harassed" for tickets. And these days, one of the hardest parts of his job is telling people there simply are not any more passes left. He says everyone who visits, walks away remembering an item that sticks in the mind. For Becerra, it's a tin wallet in the "Slavery and Freedom" exhibit. That wallet belonged to Joseph Trammell. He made a tin one because he had to carry around his papers in the 1850s stating that he was a free man. Losing those papers -- or letting them fade -- could have been the difference between freedom and being forced into slavery. "It touched everyone. It really brought home what the museum is about," says Rep. Becerra. Tickets to the museum are not supposed to be sold since they are free. It's actually illegal in Washington D.C. to attempt to sell them, but that hasn't stop people from listing the passes on eBay for as much as $200 for two.